We strive to connect neighbors and groups of neighbors who have faced oil and gas development. 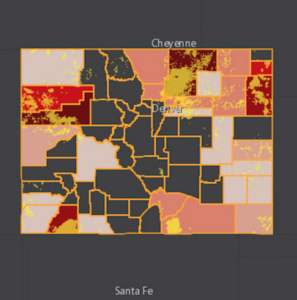 The LOGIC neighborhood page seeks to provide impacted and concerned Coloradans resources and information including the current landscape of current and proposed oil and gas projects in Colorado as well as with information about what is happening with particular neighborhood groups in Colorado. your home or school. It provides interviews with other impacted residents and infrared videos of VOC leaks on oil and gas sites. Is your neighborhood being impacted by proposed oil and gas development? DO you need to file a complaint? Are you curious about particular rules? Access the information you need on the Colorado Oil and Gas Conservation Commission website.